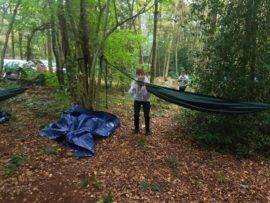 Adults have fun Scouting too! 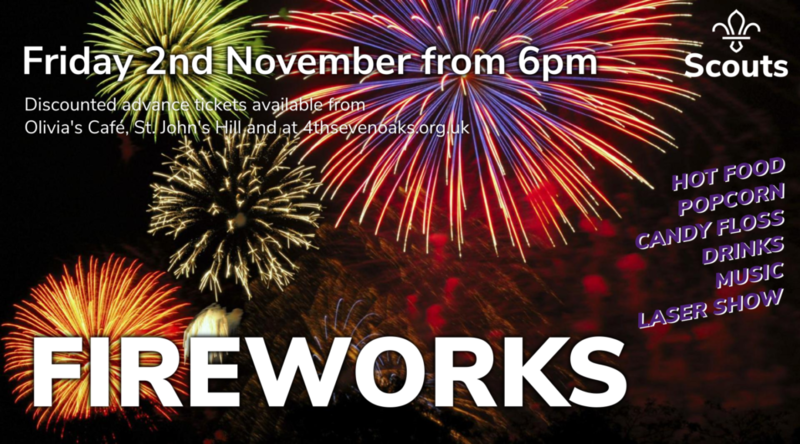 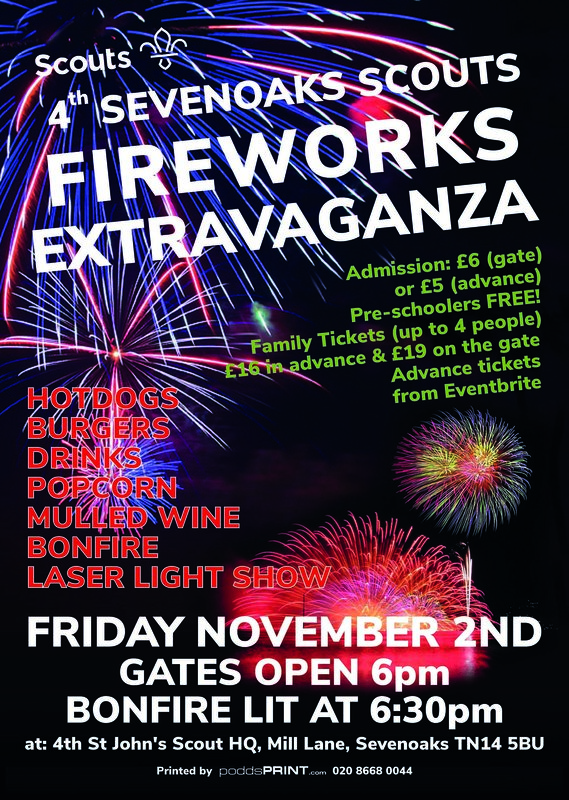 Our firework evening will be on Friday 2nd of November this year. 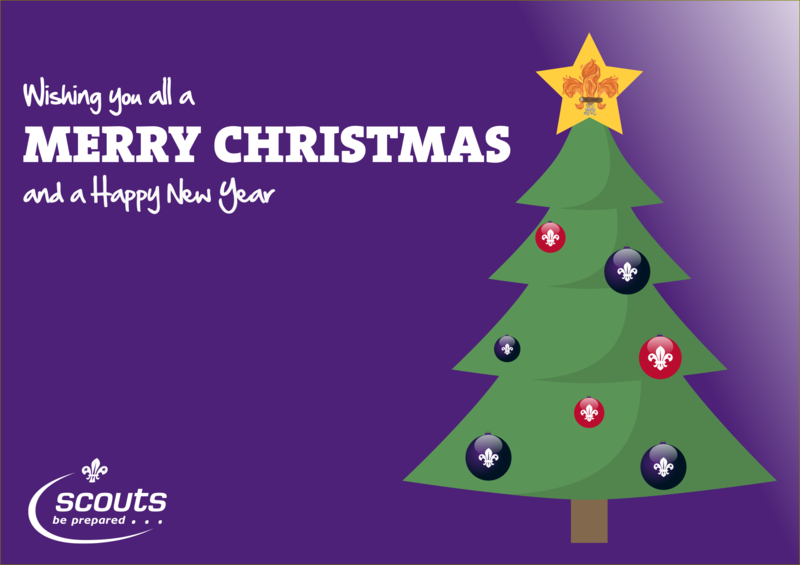 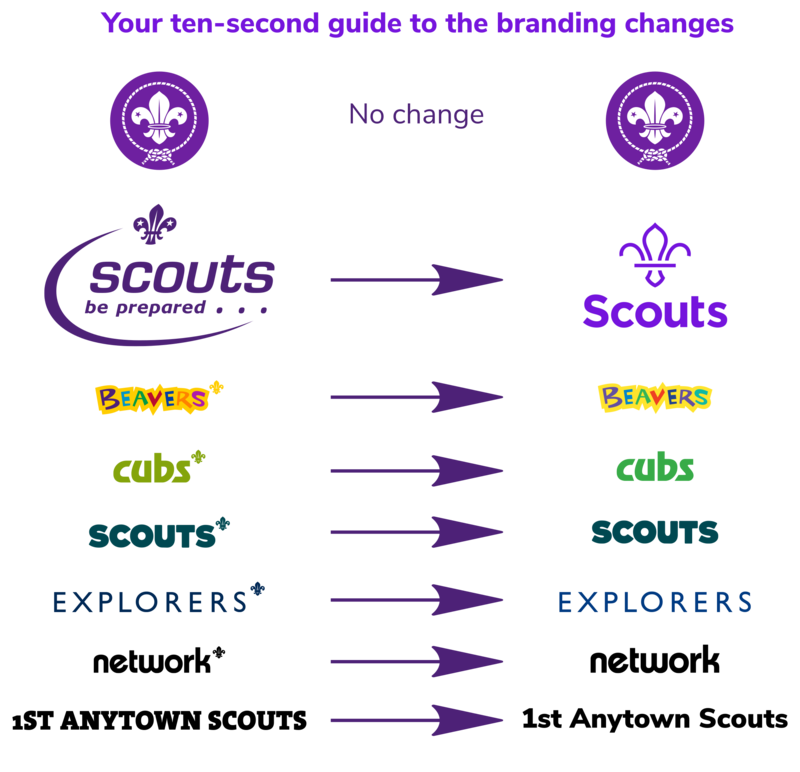 Today, UK Scouting has changed our brand from the old swoosh to a simpler, bolder symbol for scouting. 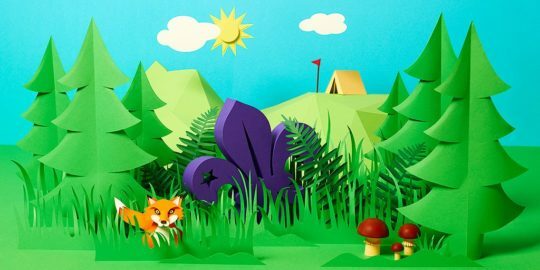 It signifies a new direction for Scouts as it launches Skills For Life. Watch the whole video for a great introduction, but the super short version is emphasising the huge positive effect scouting has on the lives of young people – not just today, but forward into the rest of their lives. 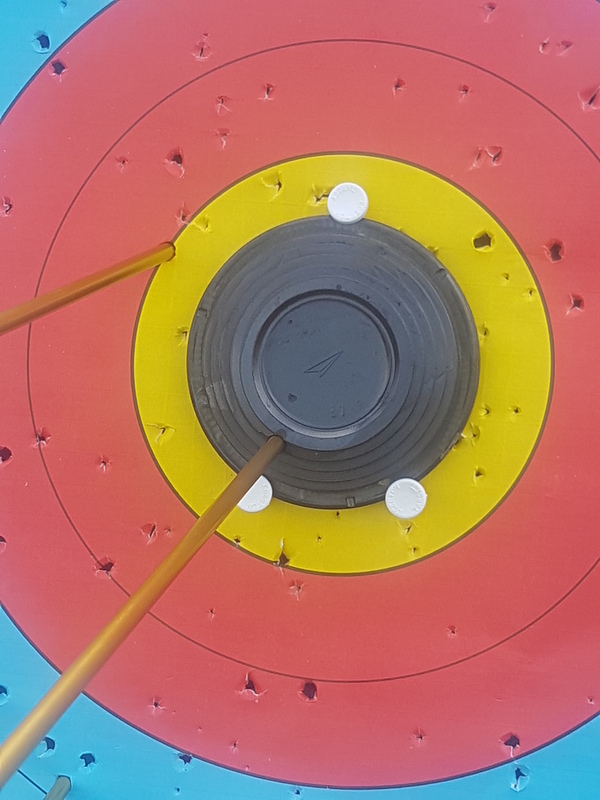 The new brand is just the latest in an evolution of the brand over the years. 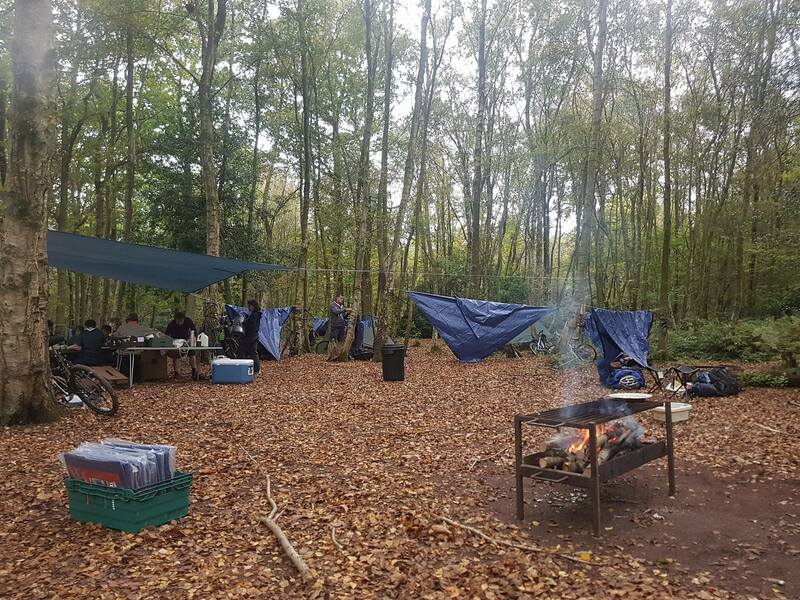 We survived the freezing conditions over the weekend for our ‘Christmas’ Camp at Kingswood Grosvenor Hall in Ashford. 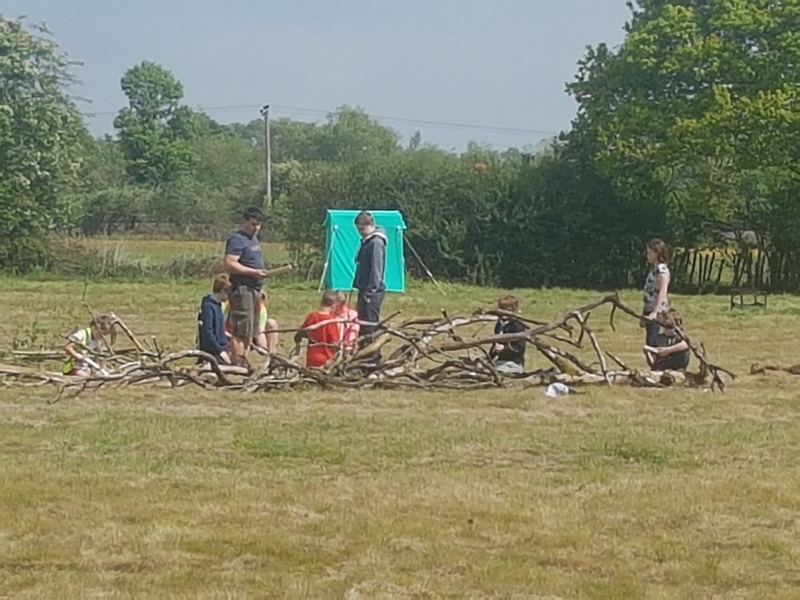 On the first evening we all went to the huge gym to play a few games in an attempt meet our group leader, Finn, and to burn off some energy. 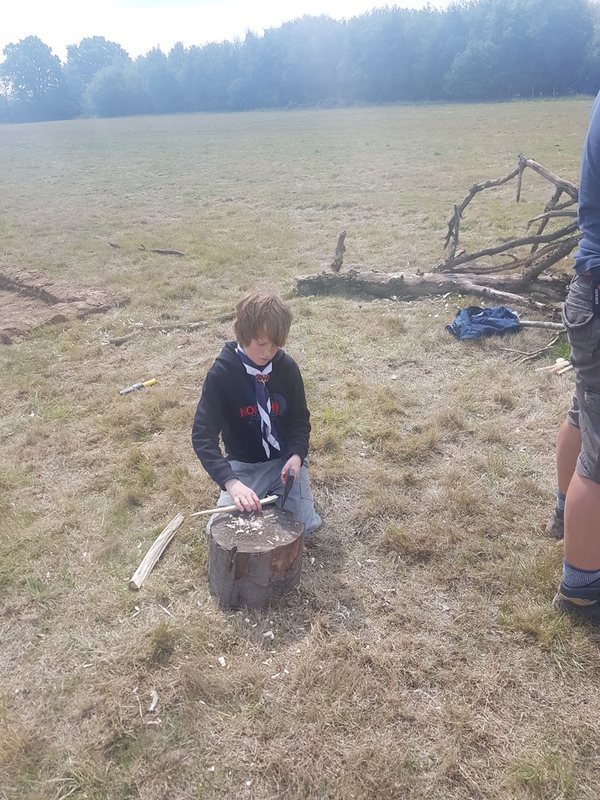 Before bed time one of our scouts decided to see if the smoke detectors could really be triggered by an aerosol, as we had been warned (spoiler: yes). 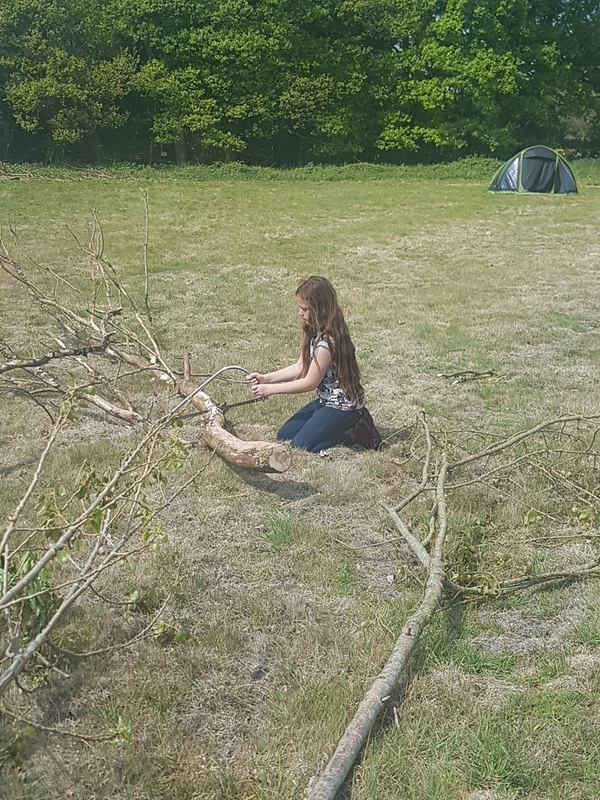 We had a fire alarm drill…. 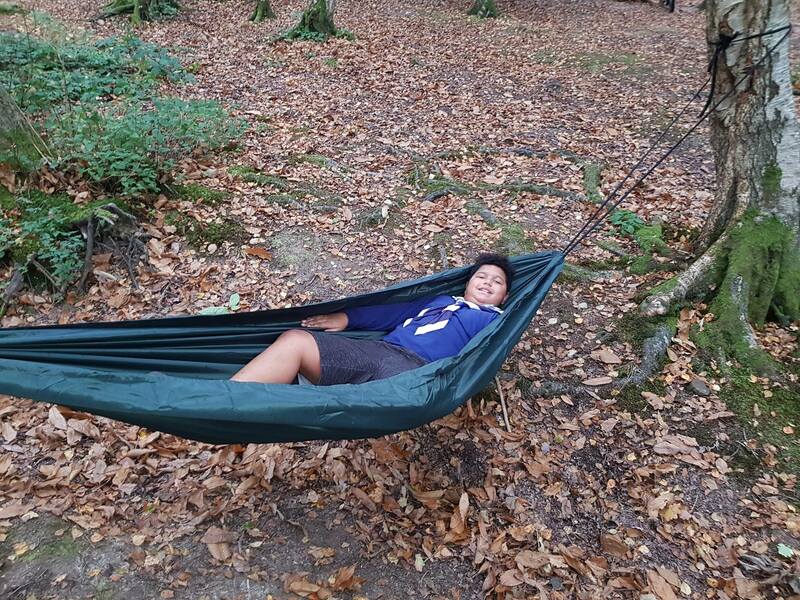 3G swing – be hauled up to 10m before being dropped on a giant swing. 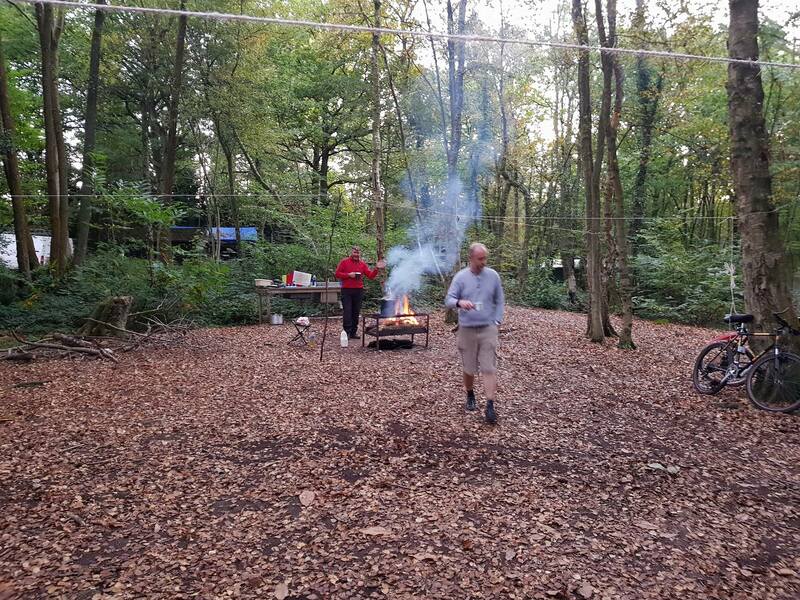 It is 3g as you experience 3g at the bottom. 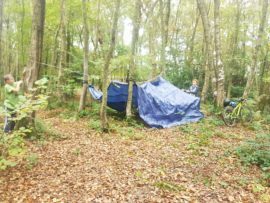 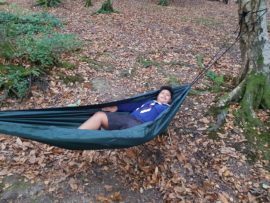 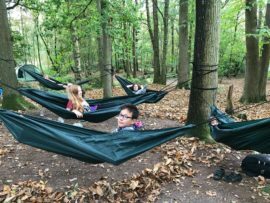 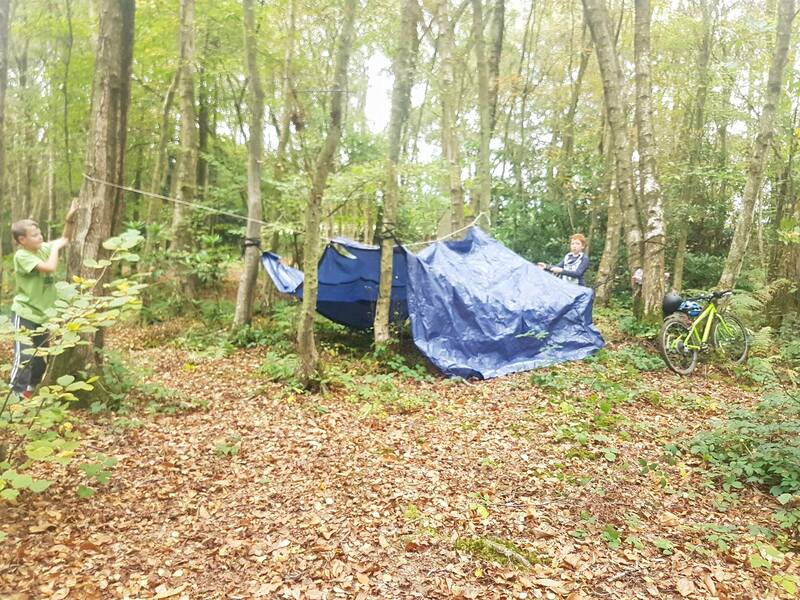 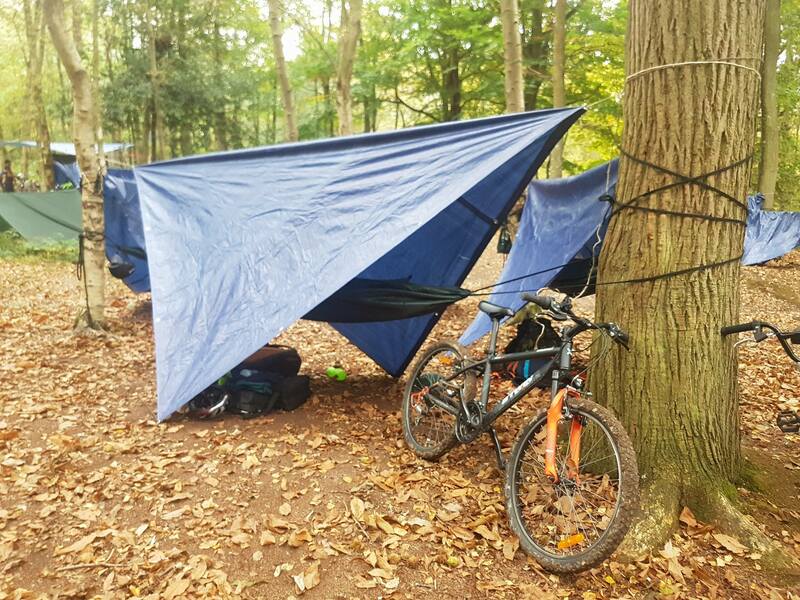 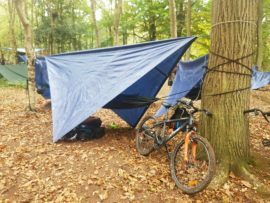 Scouts Cycle from Groombridge to Crawley, with hammocks! 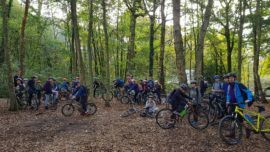 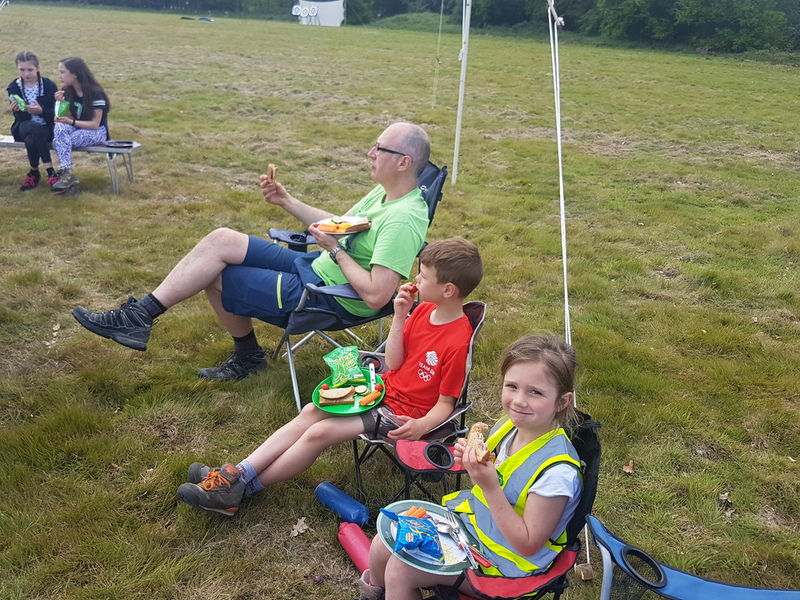 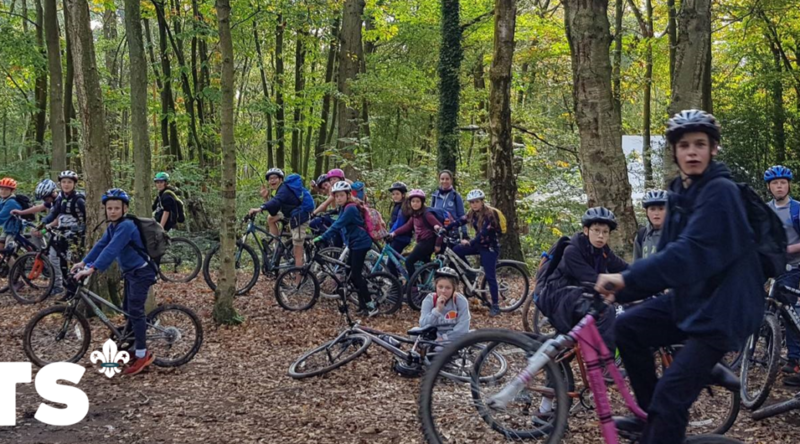 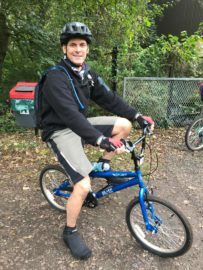 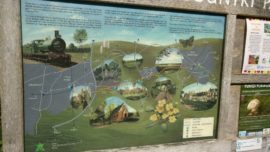 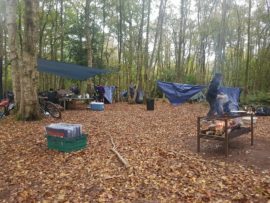 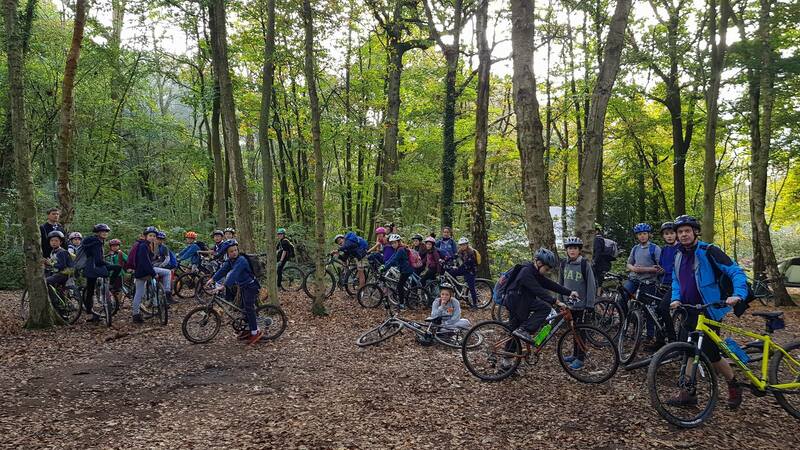 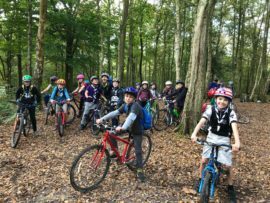 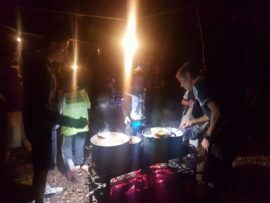 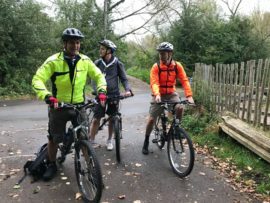 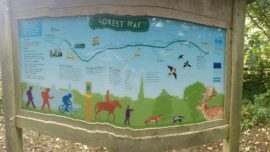 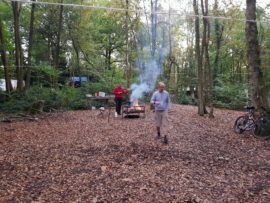 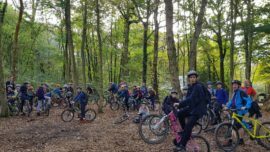 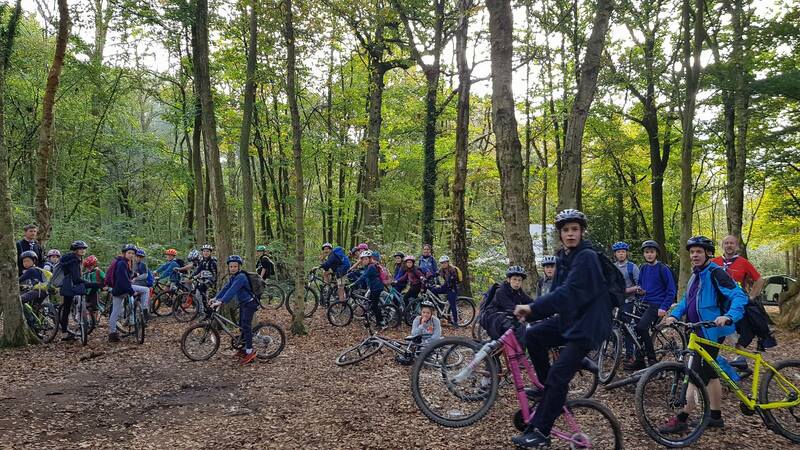 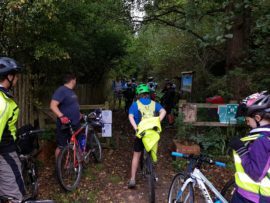 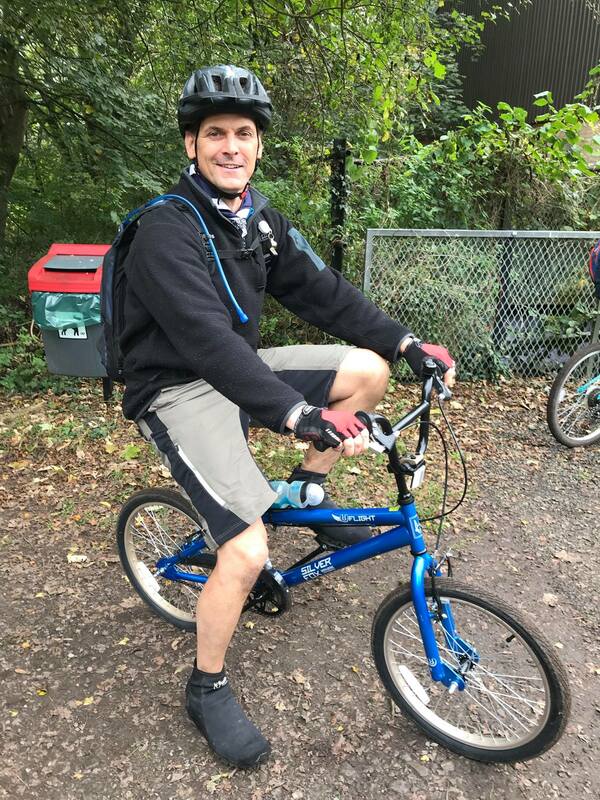 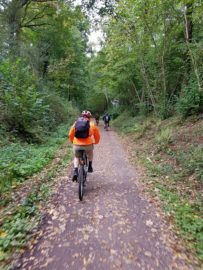 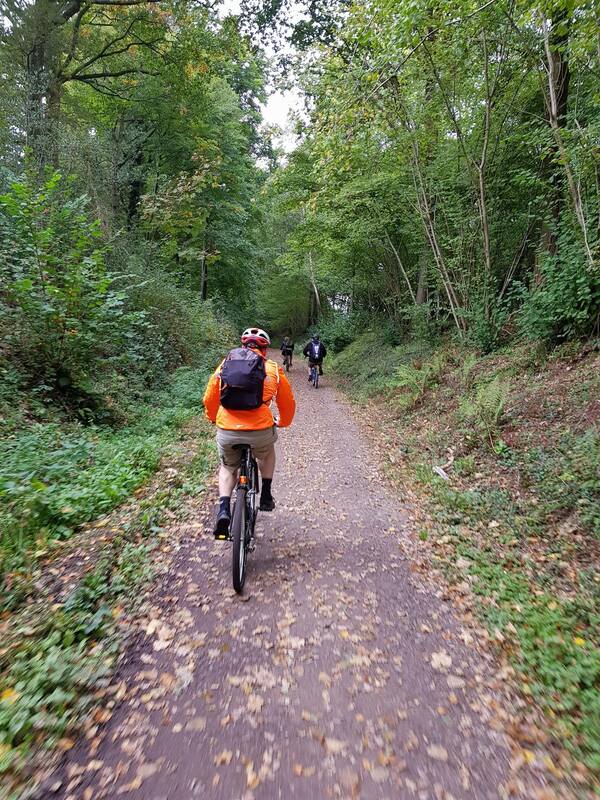 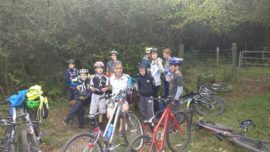 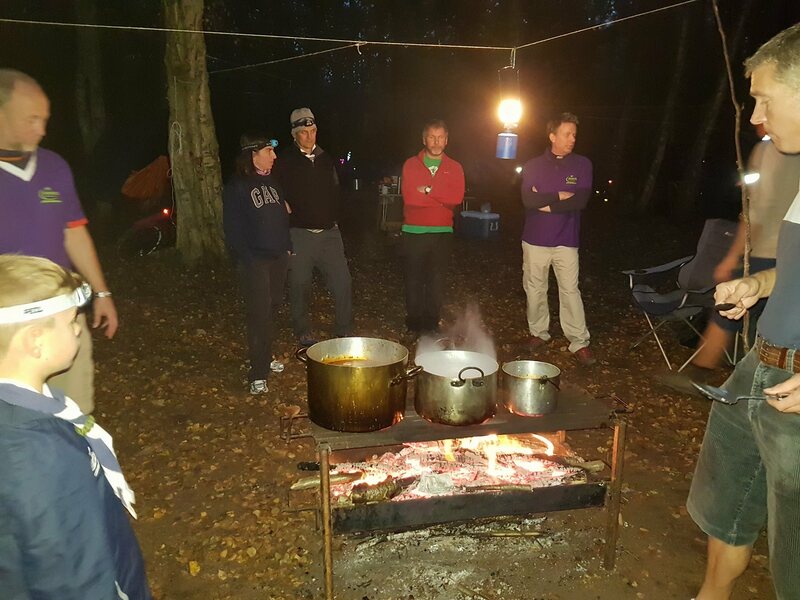 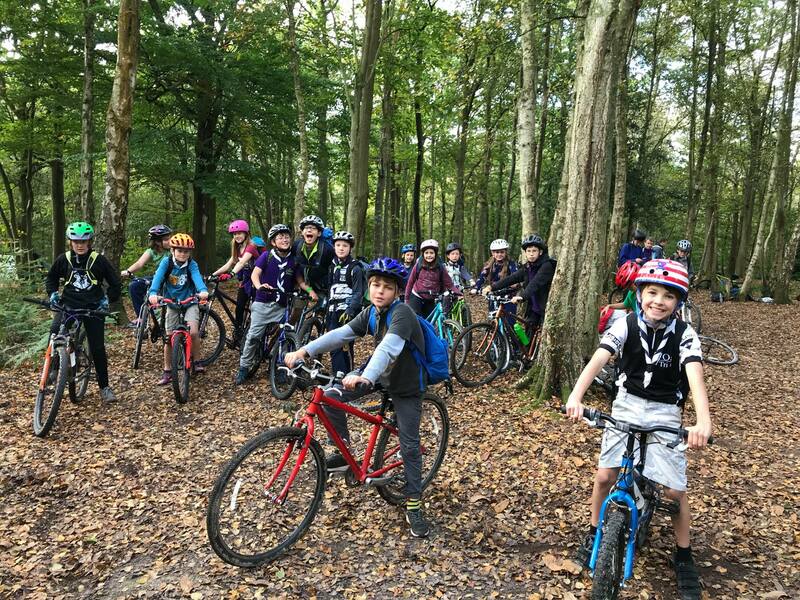 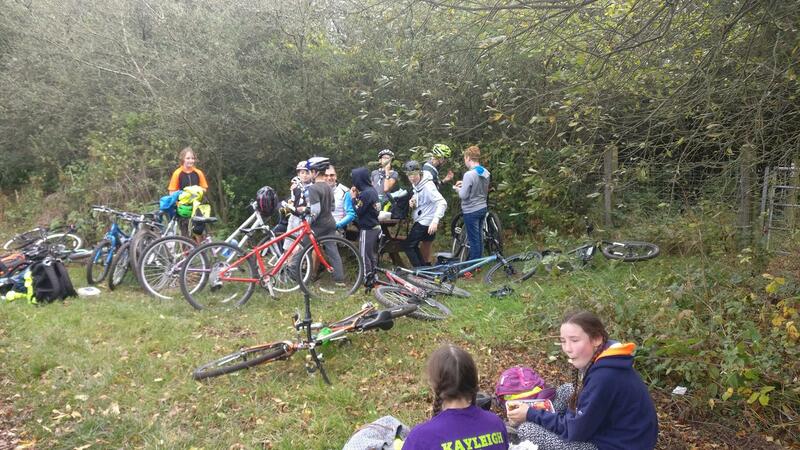 At the start of October a combined group of both scout troops (plus a couple of guest cubs) cycled from Groombridge, just round the corner from Adamswell Scout Camp, all the way to the outskirts of Crawley. 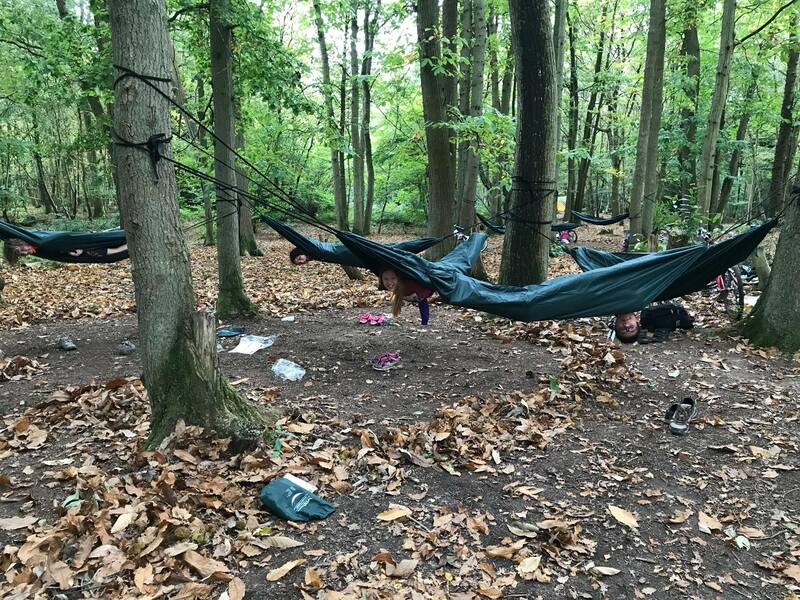 On the way we took a detour to Hammerwood Scout Camp, where we made use of their superb supply of trees for a whole-troop hammock camp for the first time. 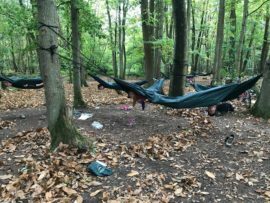 After ‘pitching’ their hammocks, a healthy mountain of stew and some pancakes, the scouts went off in the woods for a wide game before returning for some marshmallows. 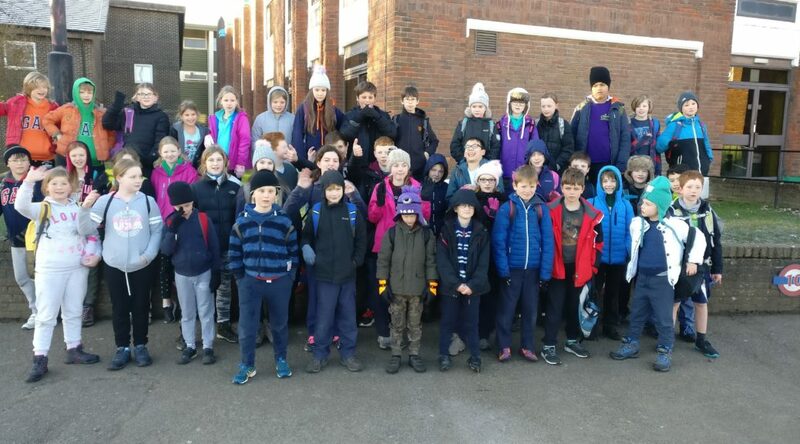 We awoke after a slightly chilly night’s sleep to egg and bacon butties prepared by the overworked leaders before heading off for day two on the bikes. 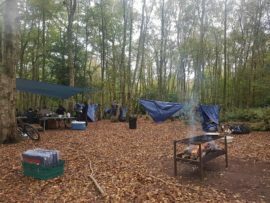 All in all it worked very well – definitely the lightest-weight camp we have tried with such a large number of people – there were 35 of us in total. 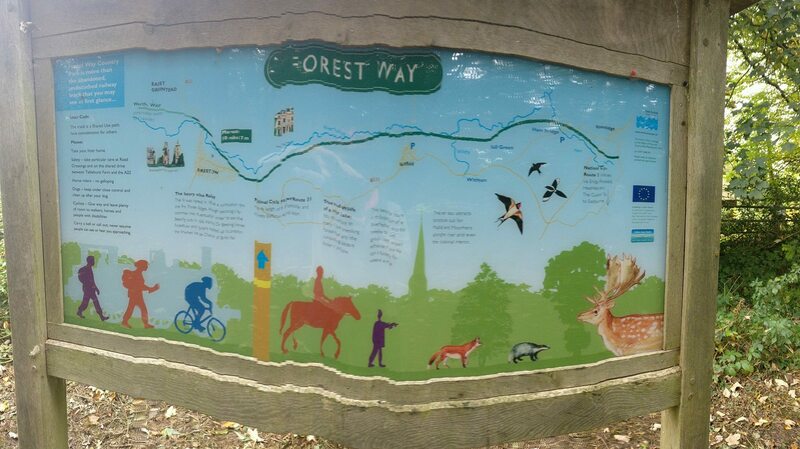 We have just got to find a suitable location for us to try it again! 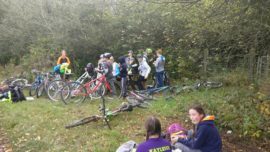 Thanks to everyone involved (leaders, young people, accompanying parents) but Rob in particular – it was his first time as Event Leader! The scouts went camping at Old Hay Airstrip at the weekend. 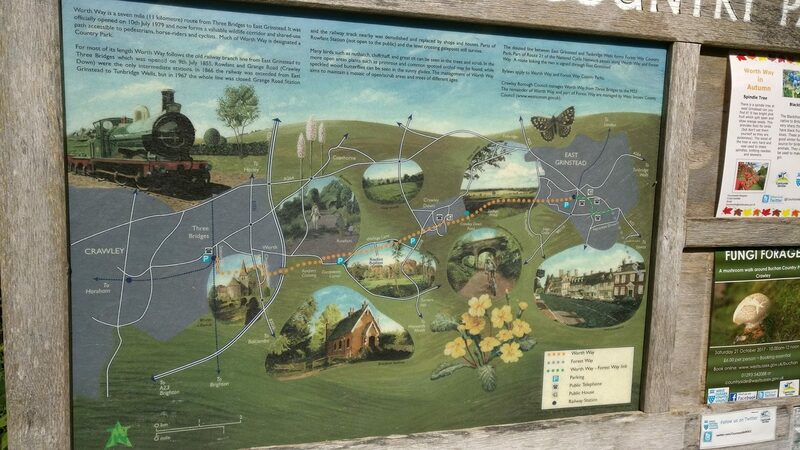 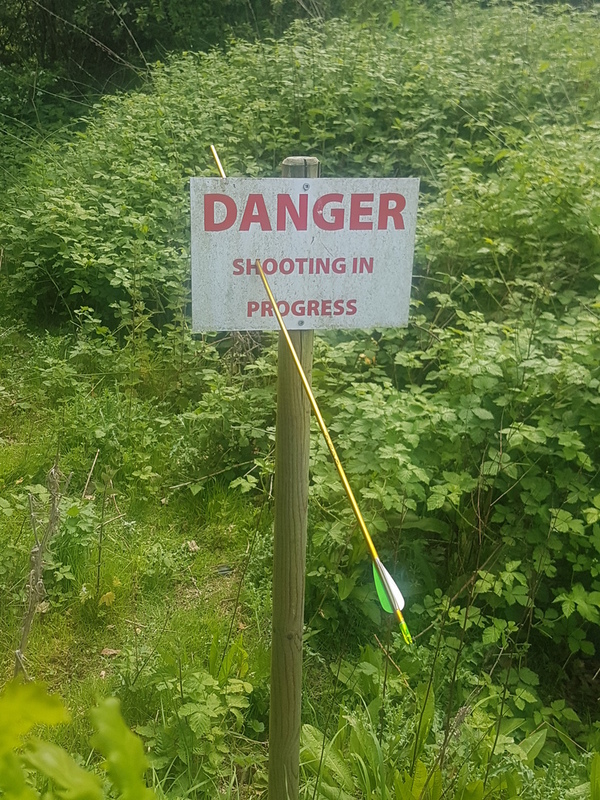 It is tucked away down some very narrow roads about 10mins from Paddock Wood in Kent. 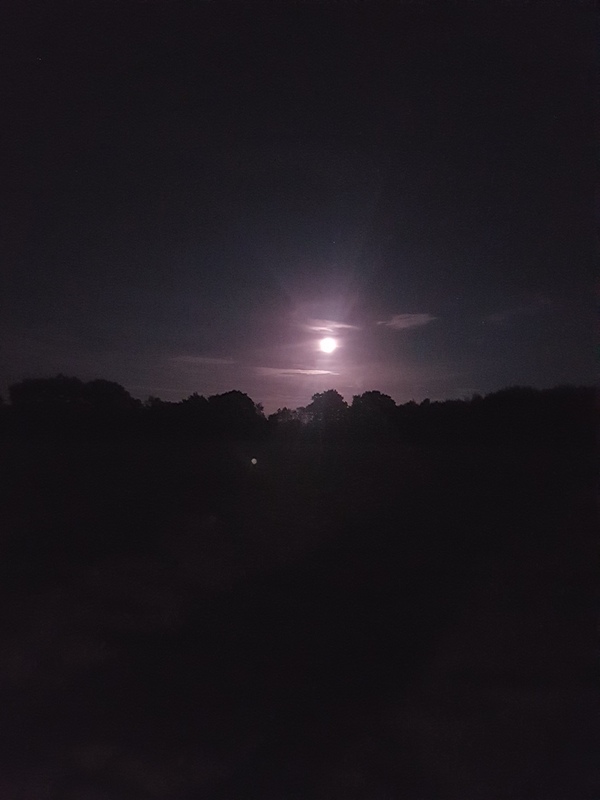 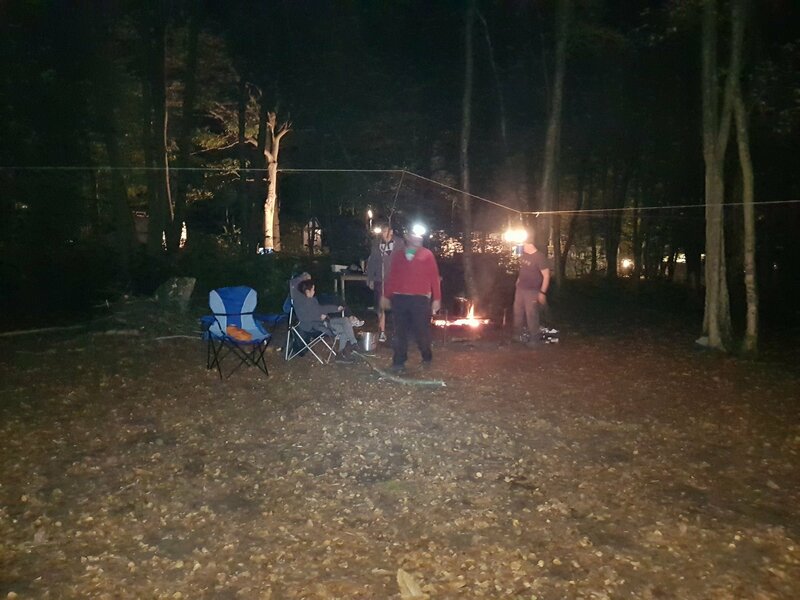 On arriving, it took everyone right until late supper to get the tents up, but there was a wonderful moon as we all retired to a well-deserved night’s sleep (all I can say is the leaders slept well). 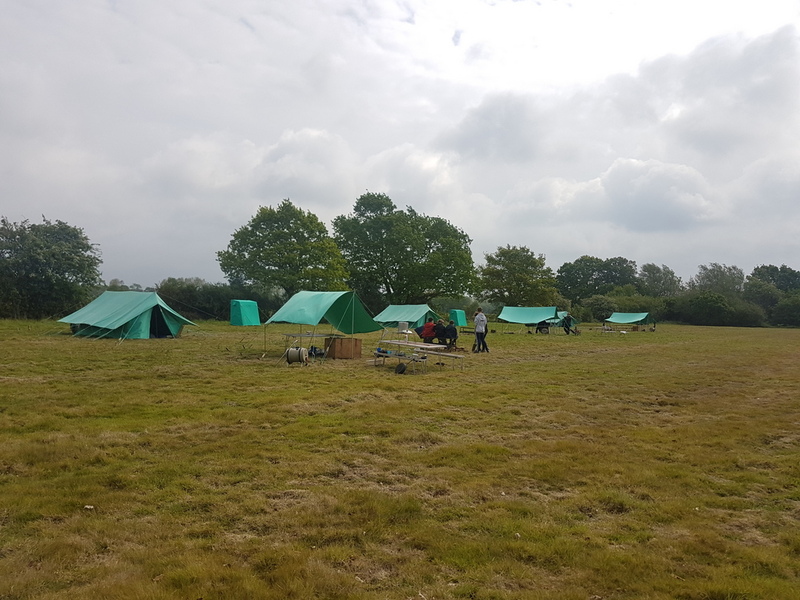 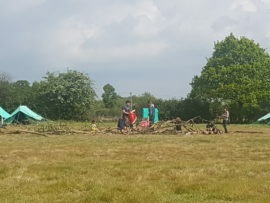 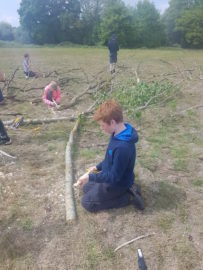 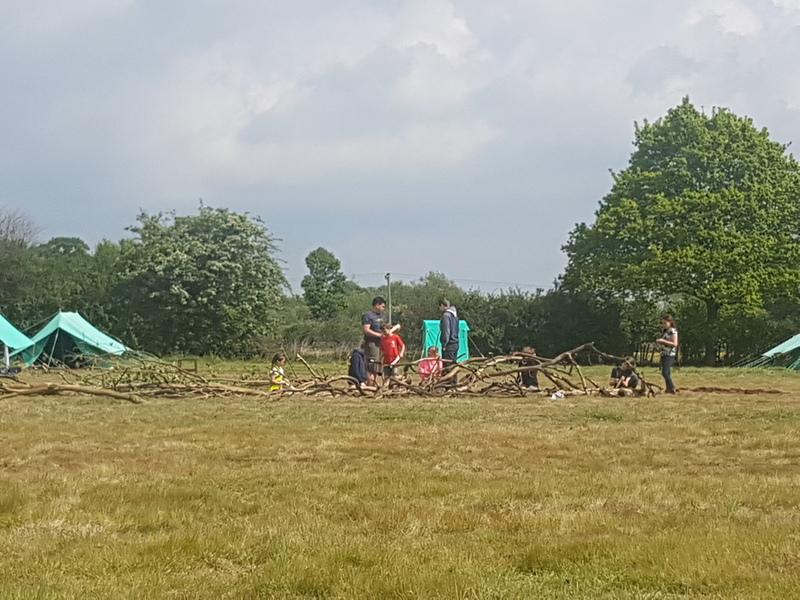 This was the first greenfield camp that many of the scouts had done, so there was lots of basics to cover (pitching tents, altar fires, wet pits, chemical loos, cooking for themselves, washing up). 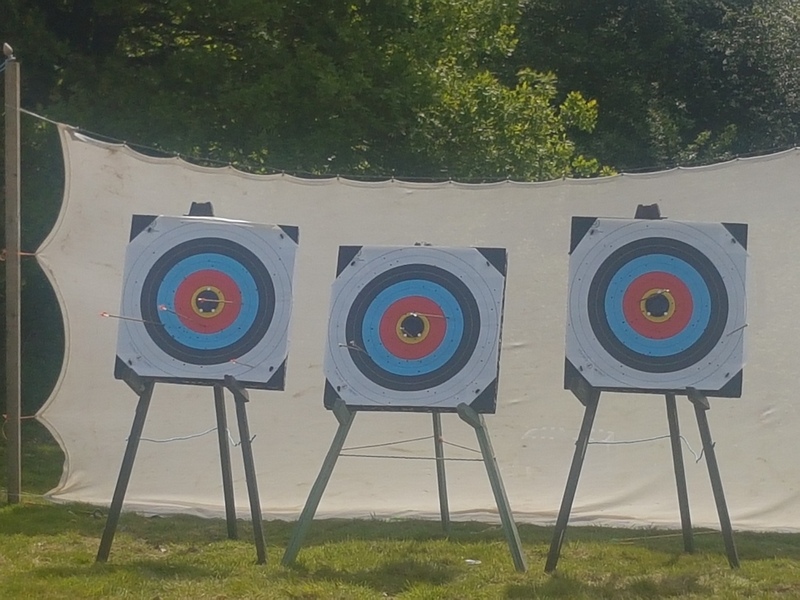 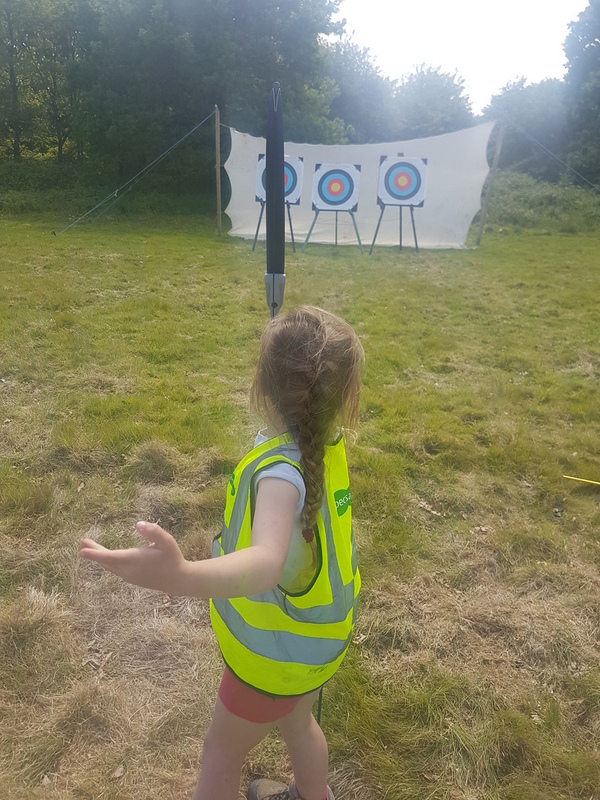 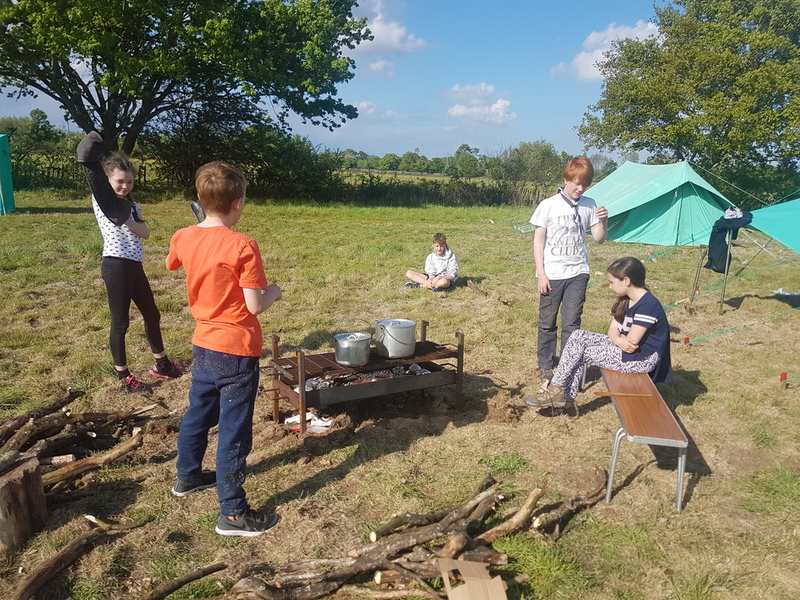 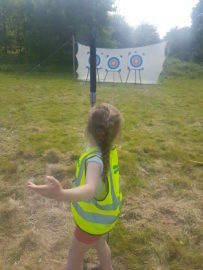 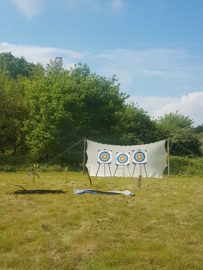 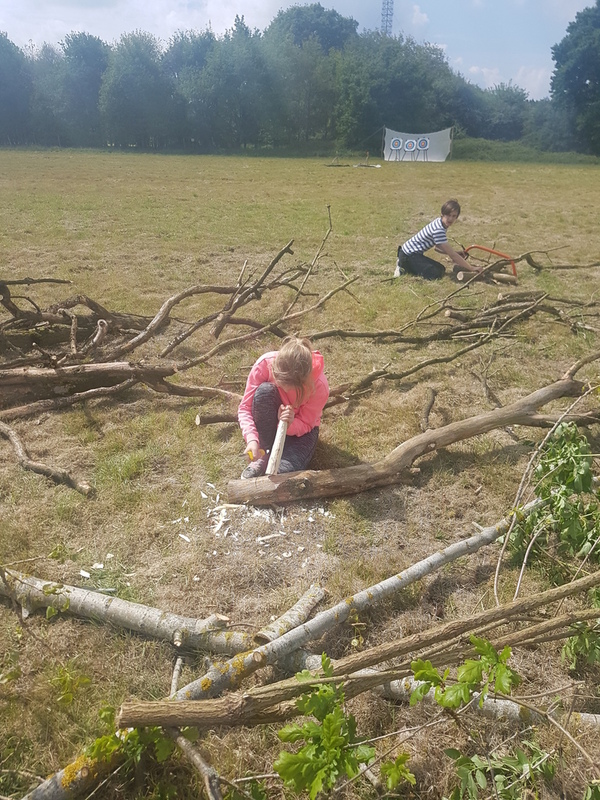 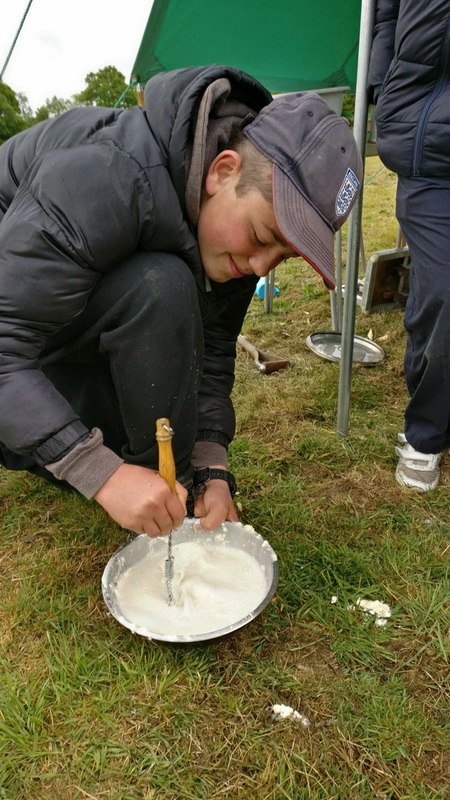 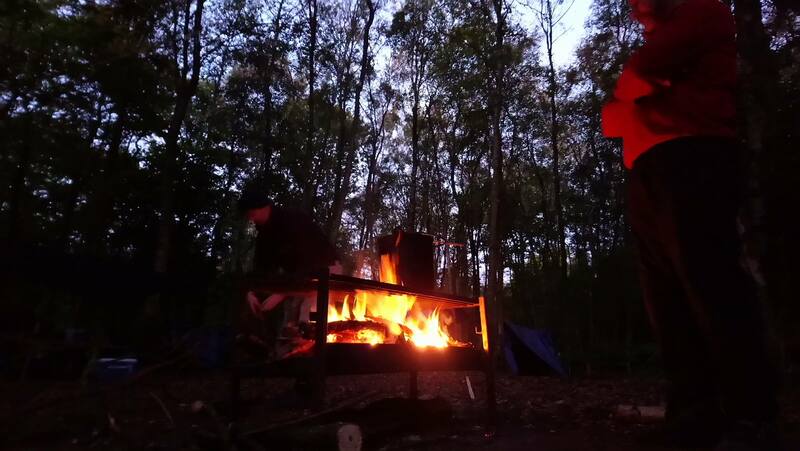 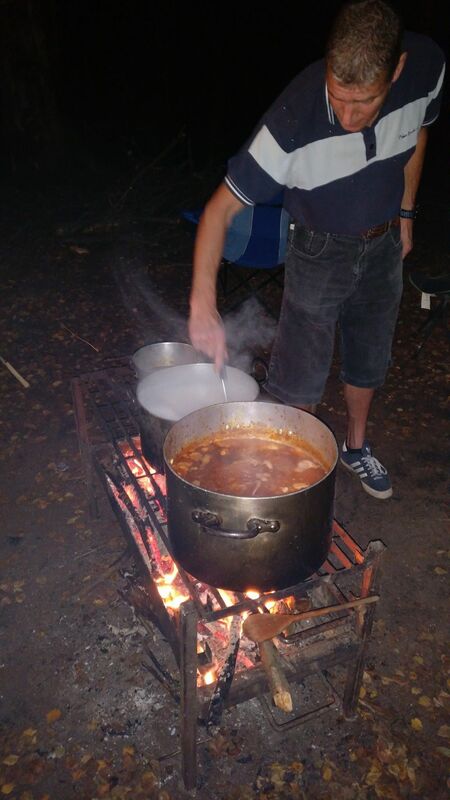 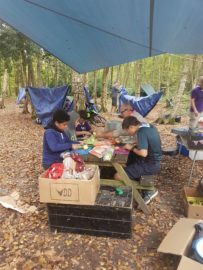 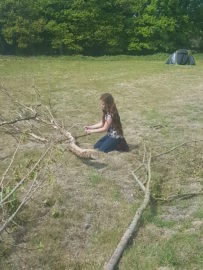 Apart from the basics, we managed to cover knife skills – the scouts (and the cub and beaver) produced many good tent pegs and some fair attempts at cutlery. 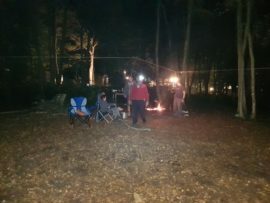 We all had an archery session c/o Carl and an enormous camp fire c/o Donald, complete with s’mores. The catering worked out well this camp; the menu included a traditional scouting breakfast, hearty chicken stew, chocolate cake and custard, pancakes and lots of hot chocolate. The main event was microlighting. 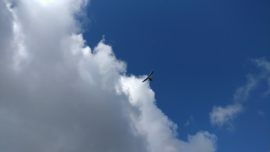 As usual when doing anything to do with flight, we spent the whole weekend looking at the weather. 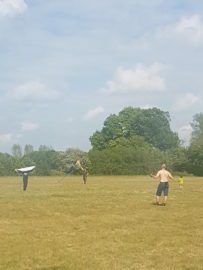 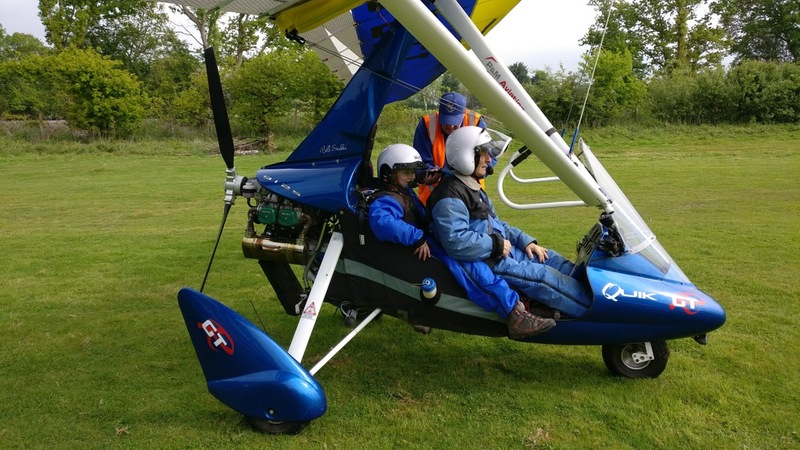 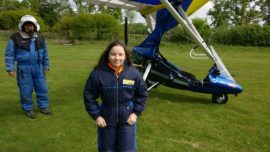 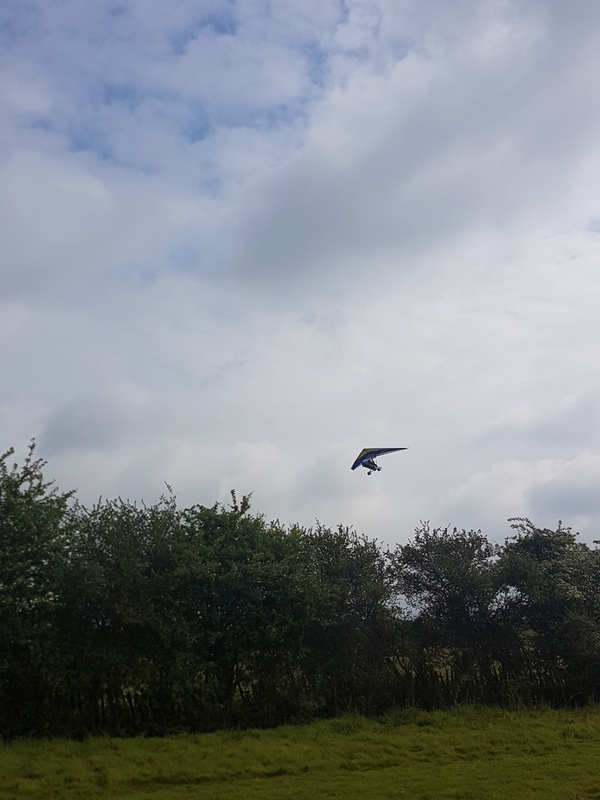 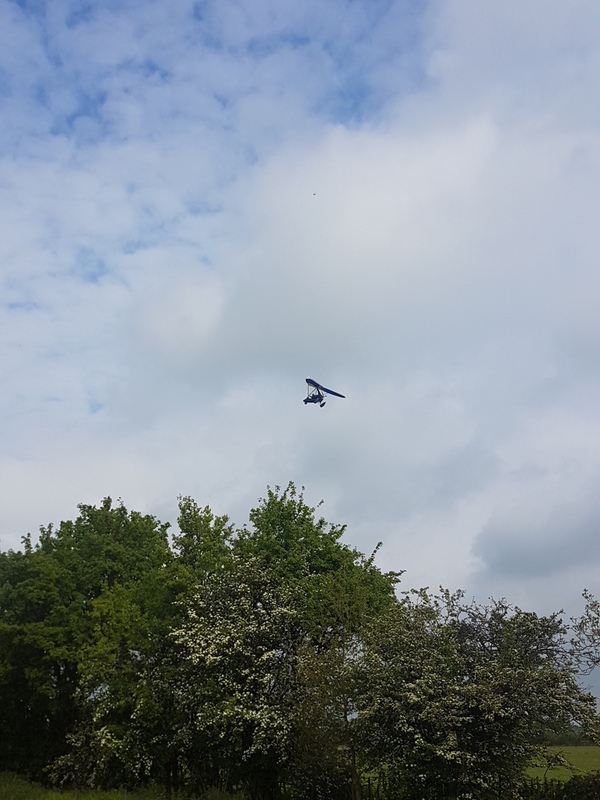 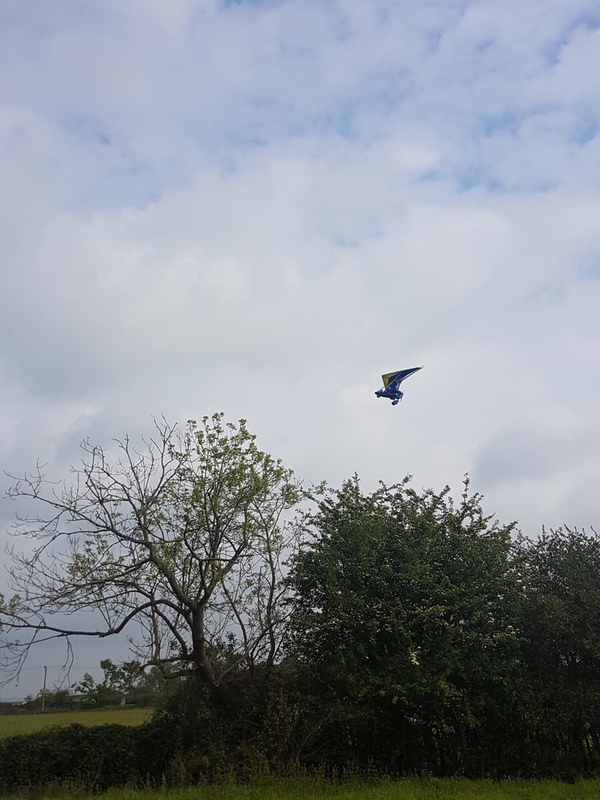 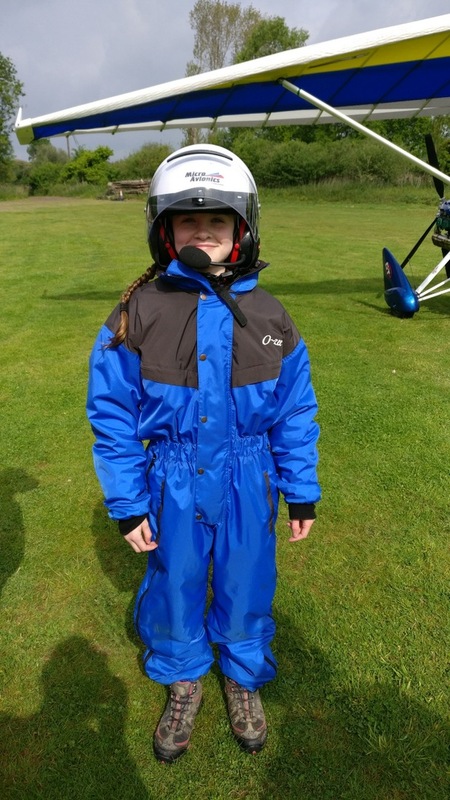 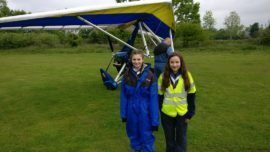 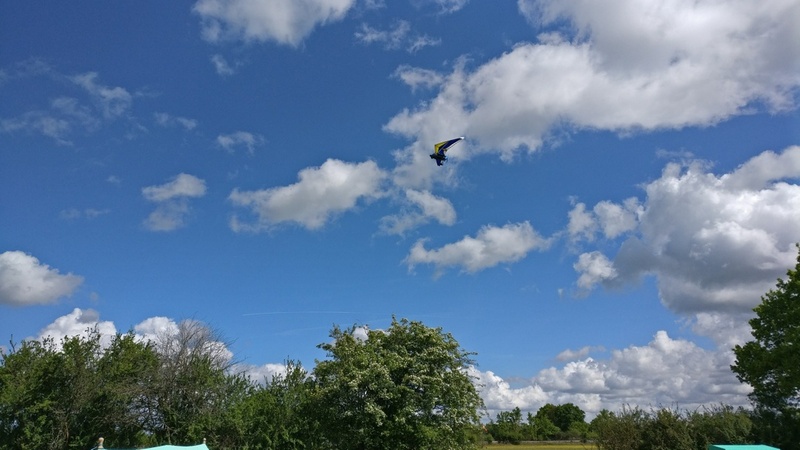 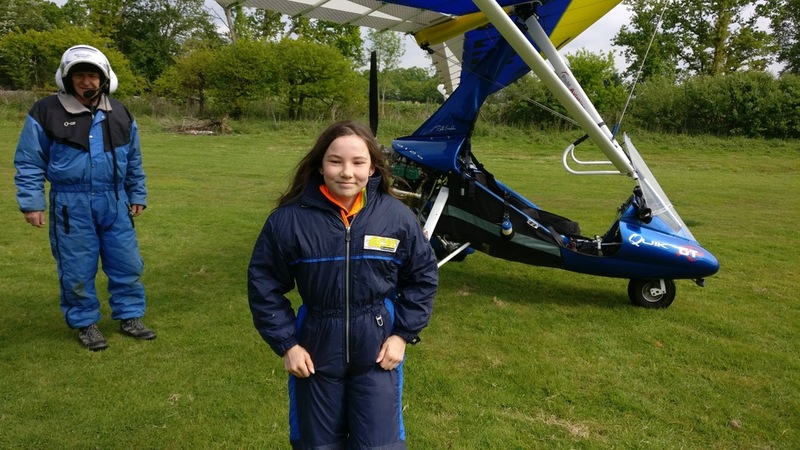 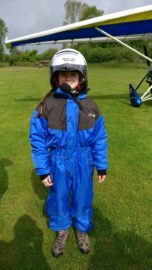 On Saturday only three scouts got to fly before it was blown out, but on Sunday they managed to get all the scouts apart from the last three up in the air. Overall though we had some great weather (too much sun was a problem rather than too little), it was just a bit blowy. 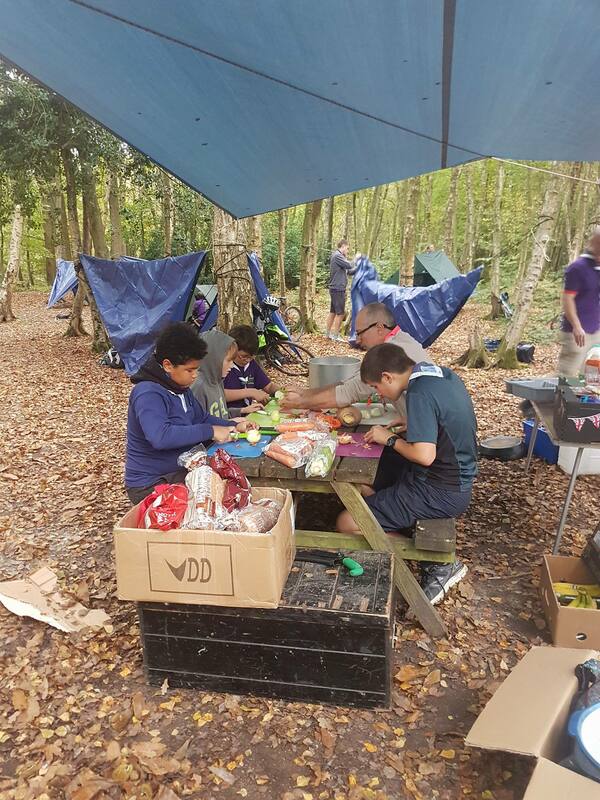 If you are looking for a DofE volunteering opportunity that is more interesting than working in a charity shop, come and talk to us! 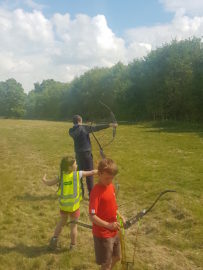 with young people from the age of 6 and up. No experience required but a willingness to get involved. 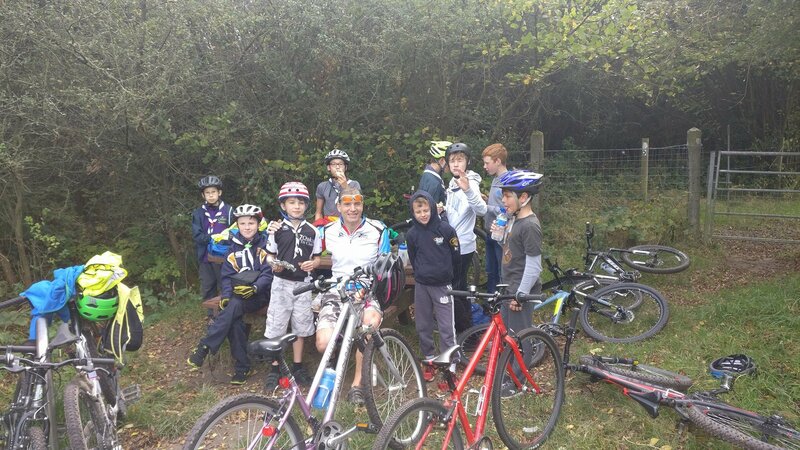 We have meetings on Wednesday and Friday evenings. 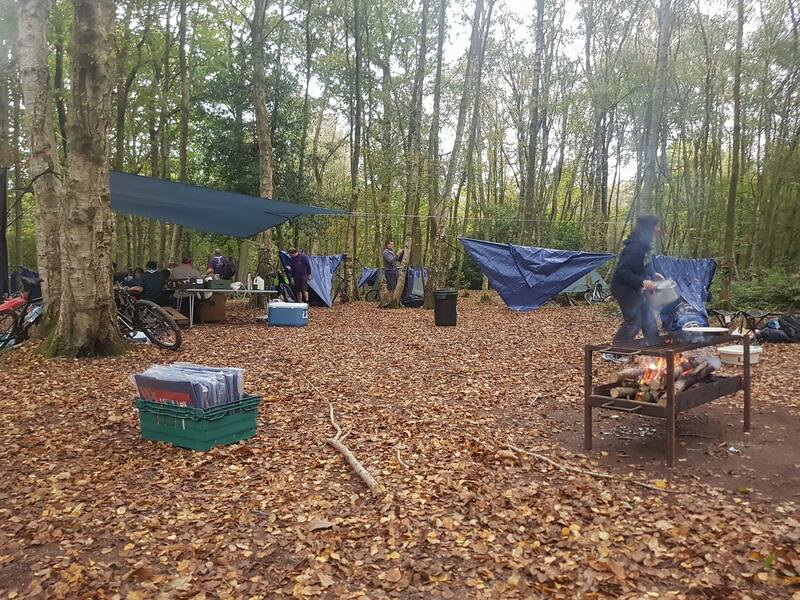 If there is anything you think you could do to help out the group, whether it is any of the things in the image above or something else, please talk to any of the leadership team or use the Volunteer link on the front page of the website. 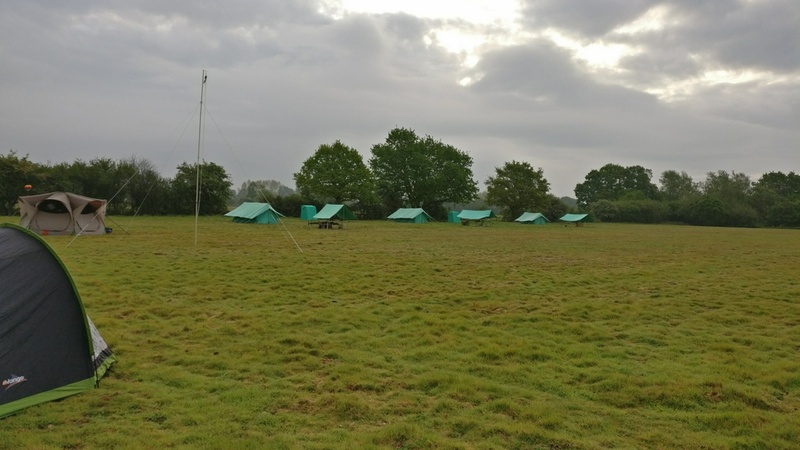 At the moment (Dec 2015) we have the following vacancies – there is also a list on the group section of the noticeboard. Assistant Grass Cutter: Assist with mowing the grass during the growing season (Apr-Sept). 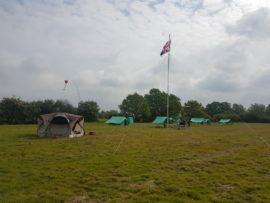 Bookings Secretary: Deal with correspondence for hall and campsite bookings. 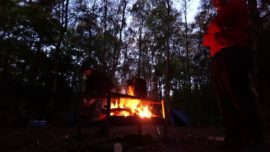 Key Holder: Let campers and hall hirers into the site and check them out on departure. Fundraiser: Apply for grants on behalf of the group. 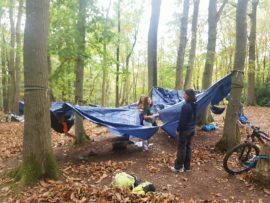 Parent Representative x5: We are looking for one parent rep for each of our five sections. 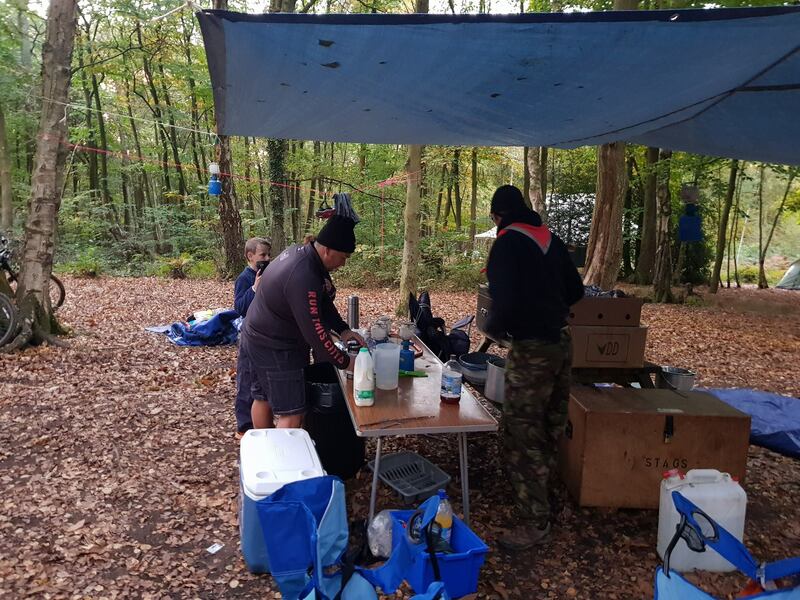 Mechanic: We are looking for someone to look after our vehicles (minibus, trailer, garden equipment). Volunteer Coordinator: We are looking for someone to recruit volunteers (e.g. 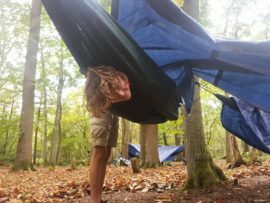 updating this list). Hill-walker: We are looking for someone to gain their Hill and Moorland Leader certificate. 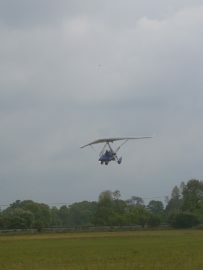 If you have walked on higher ground regularly and might be interested check out the MTUK website and speak to Michael. 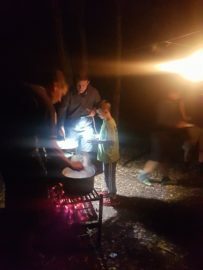 The scouts held a crazy camping night at the end of September. 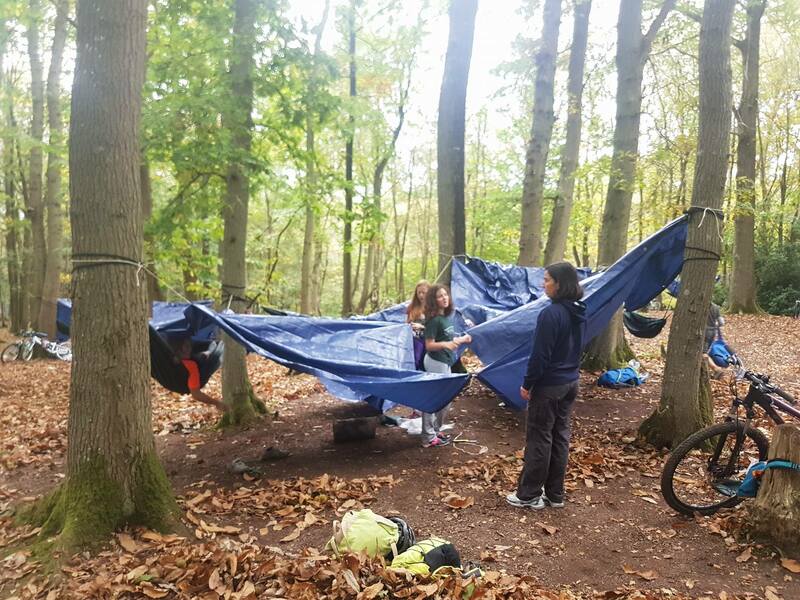 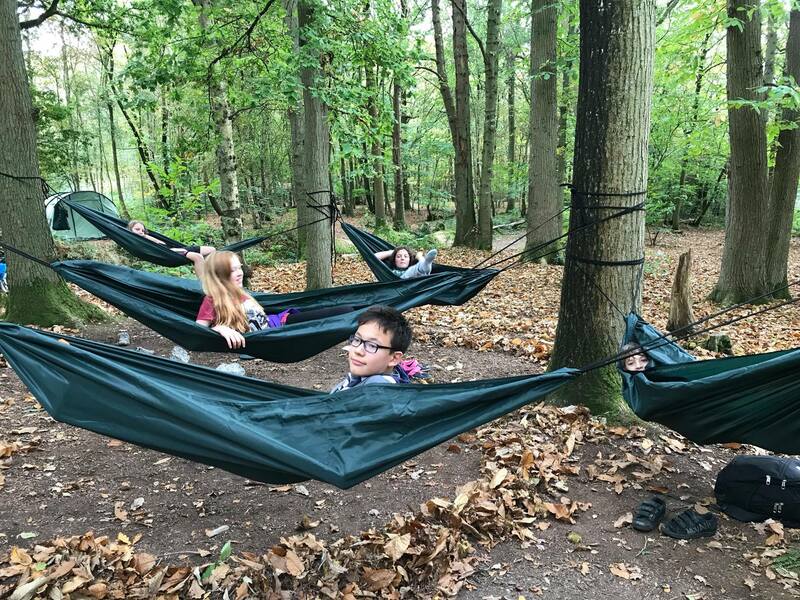 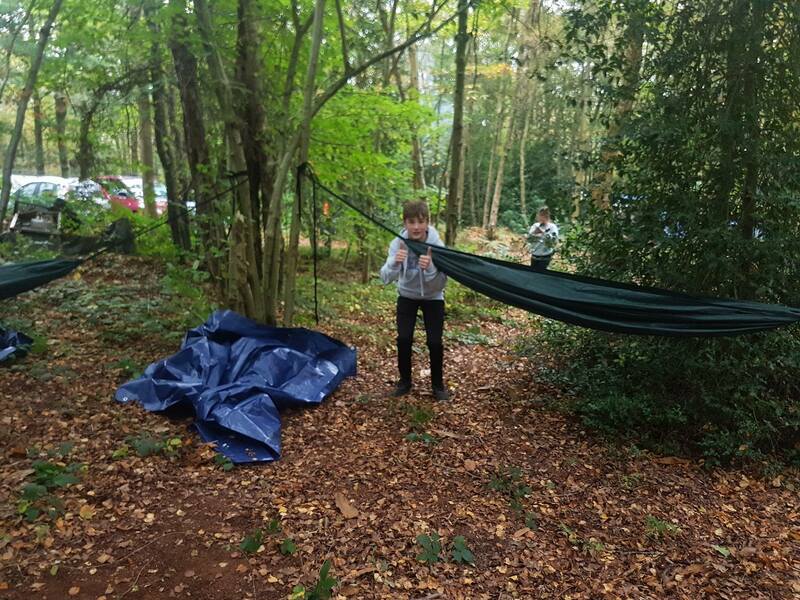 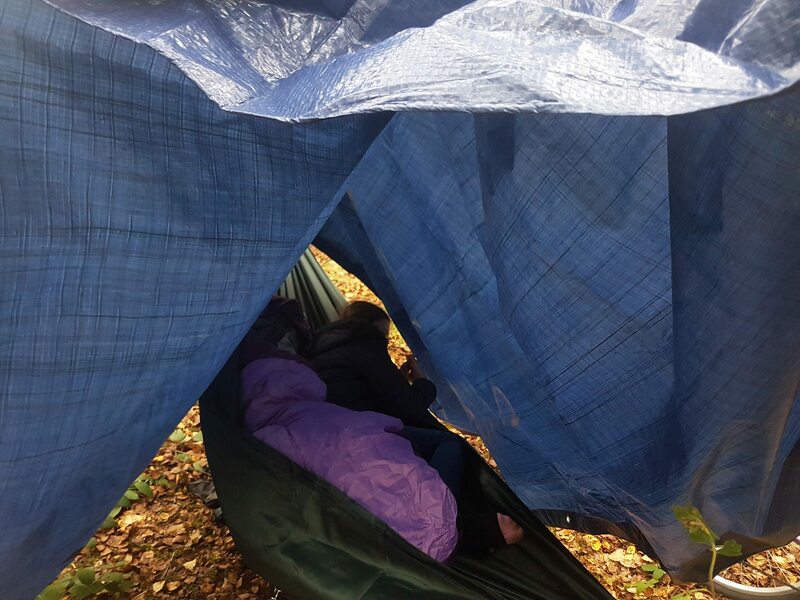 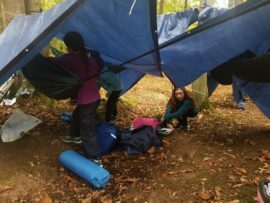 After considering options from hanging a tent from a tree, camping on a rope bridge as well as several involving water, the troop decided to build a ‘camping penthouse’ using their pioneering skills. 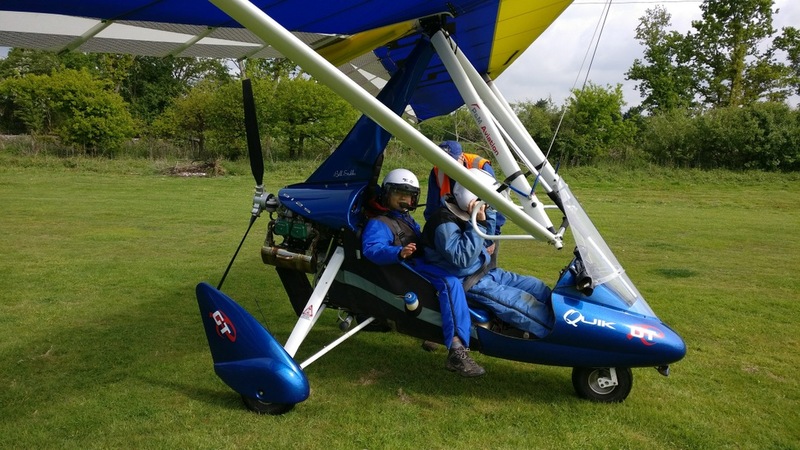 The platform was surprisingly stable, but a little bit uncomfortable for daily use. 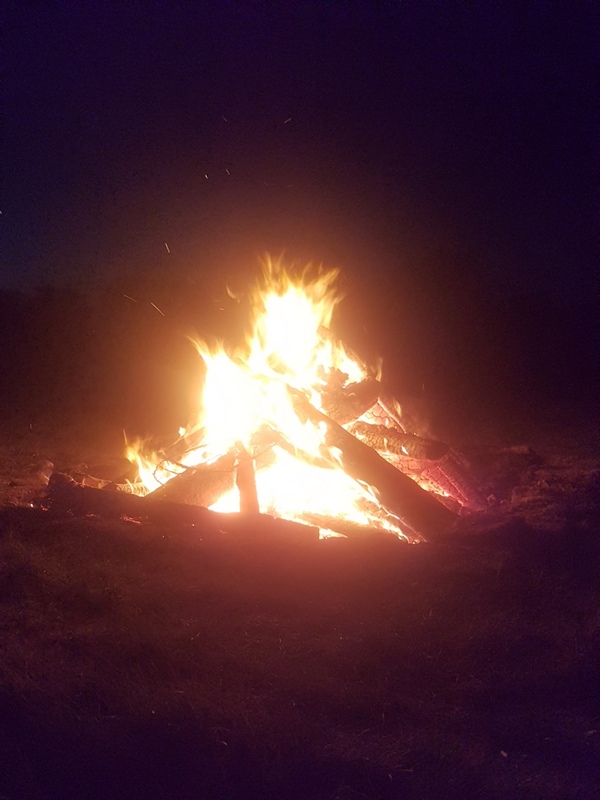 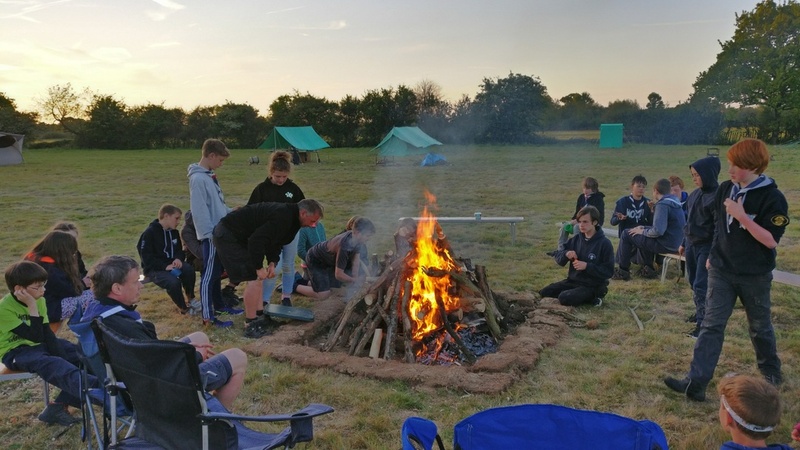 The sleepover was a first-time sleeping under the stars for five of the scouts, and fortunately the weather was as good as we could have hoped for.